Woohoo! 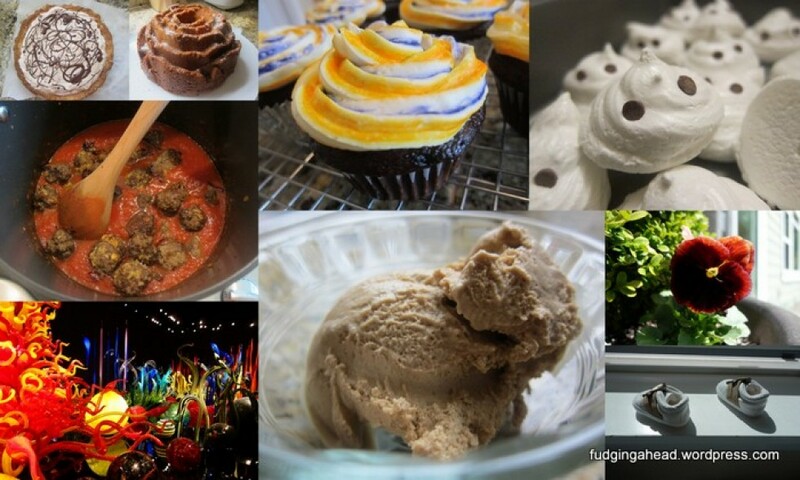 I’m back to recipes with long titles. Well, I’ve already done some of those post-baby, and this one really wasn’t hard to do. 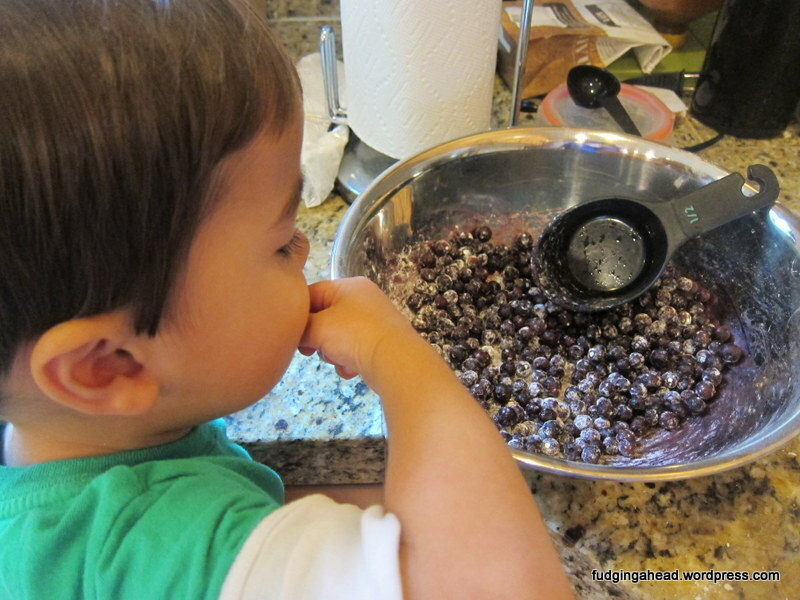 The cake recipe was straightforward to make, even with a little Fudgelet hanging around snacking on the blueberries. Two months post my birthday, I am sharing with you my birthday cake for this year. I hadn’t planned to make anything necessarily, but I happened to have buttermilk and cream that needed to get used, so this was a good recipe for it. Plus, it was something I had been wanting to make. I was able to make it in a few stages, which helped since the Fudgelet and I were both super sick and naps weren’t happening. He actually helped me make it. I asked if he wanted to “help Mommy bake” and he stopped playing with his cars, pointed where we keep his stool and said “over there” (for me to move the stool over where I was working). I figured he would like to help since there was some whisking involved (his favorite part). Alas, I am still on the search. These cookies looked like they would be identical to ones I have (so far) only found back home. 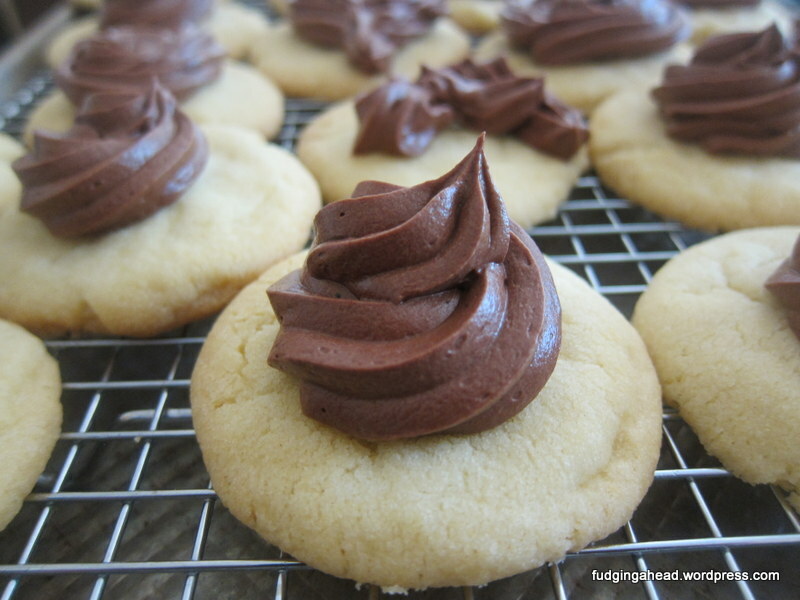 The cookies back home are simply called “chocolate tops” and are amazing. 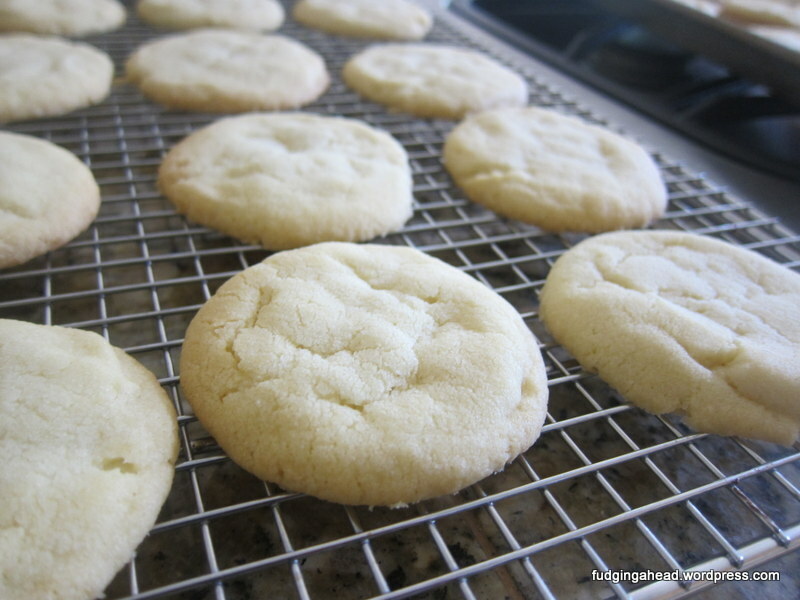 The cookies are thicker and closer to shortbread, and the frosting is the kind that is almost crunchy and super firm when set. 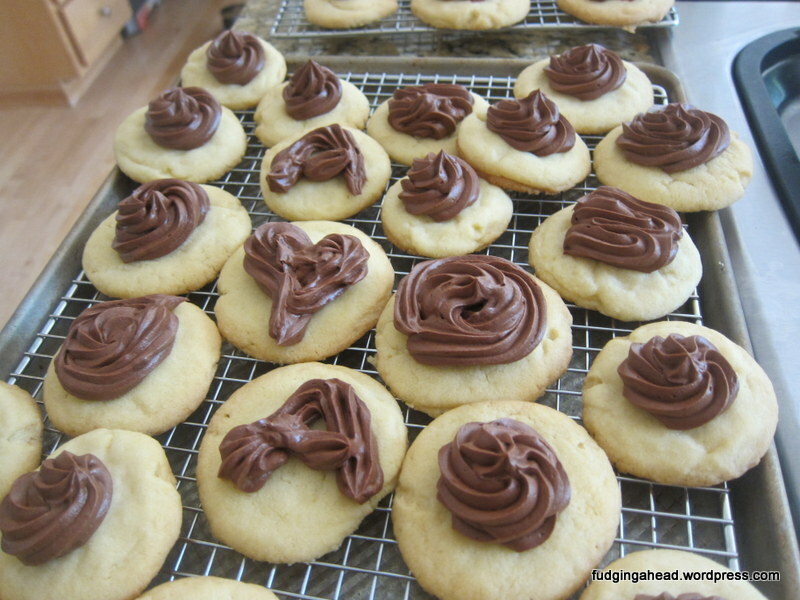 I will need to experiment, but in the meantime, I will share these cookies. Not the same, but still yummy, and still worth sharing. In fact, I did share them. You can see some “unique-ly decorated” cookies below. I took some to a friend who had just moved. Moved houses with a toddler. And a newborn. Craaaaazy. But, it’s their forever home, so she isn’t so nuts to move for that reason. The Fudgelet and I visit often since he loves all three girls, as do I. The whole family have names that start with A. The first daughter was because they liked the name, but then with the second…it would be odd if her name didn’t share an A, since she would be the outsider. But then it also makes them the family of all A’s, which can seem odd to some people. We promised her it was fine and we wouldn’t think less of her, haha. 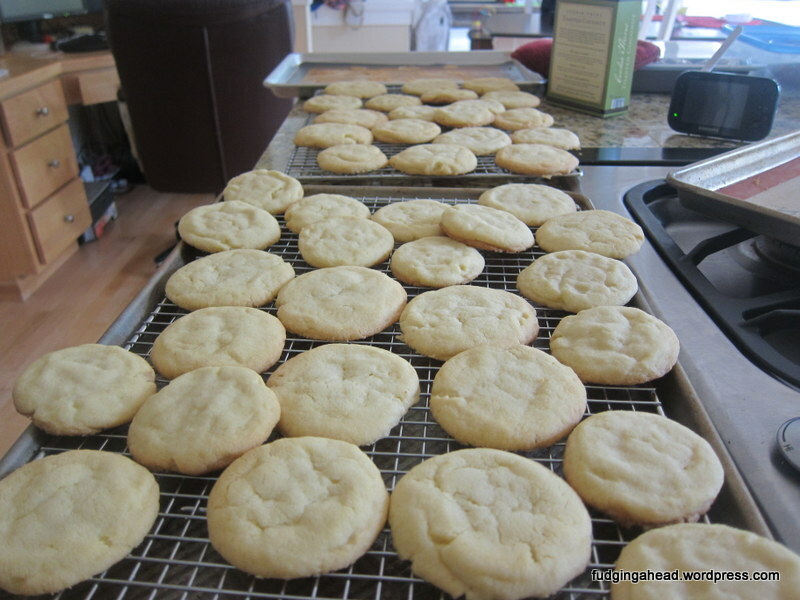 Anyway, these cookies were great because I could make the dough in advance and then when I knew we would be getting together, I baked and frosted them during nap time. So, these may not be proper “chocolate tops” but they are still yummy and maybe you would also like to try them. 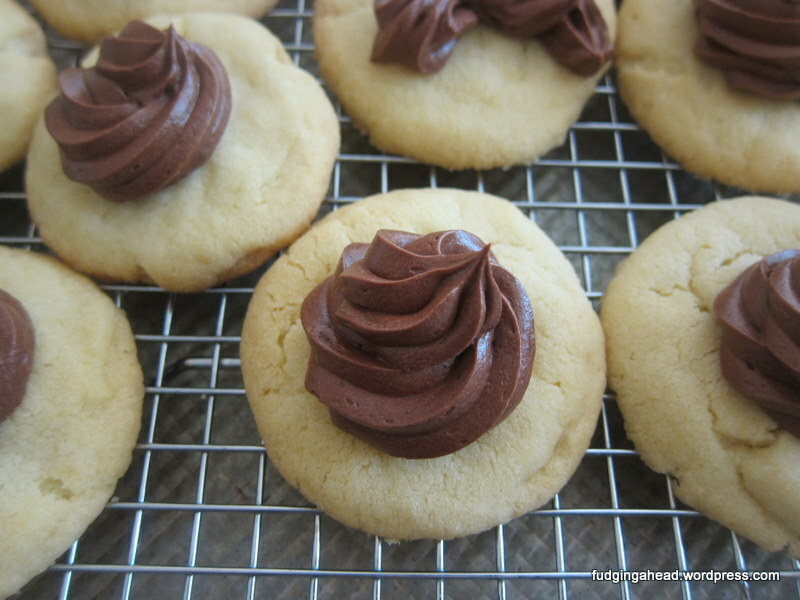 Or maybe you have a recipe I can try that is closer to my dream cookie? 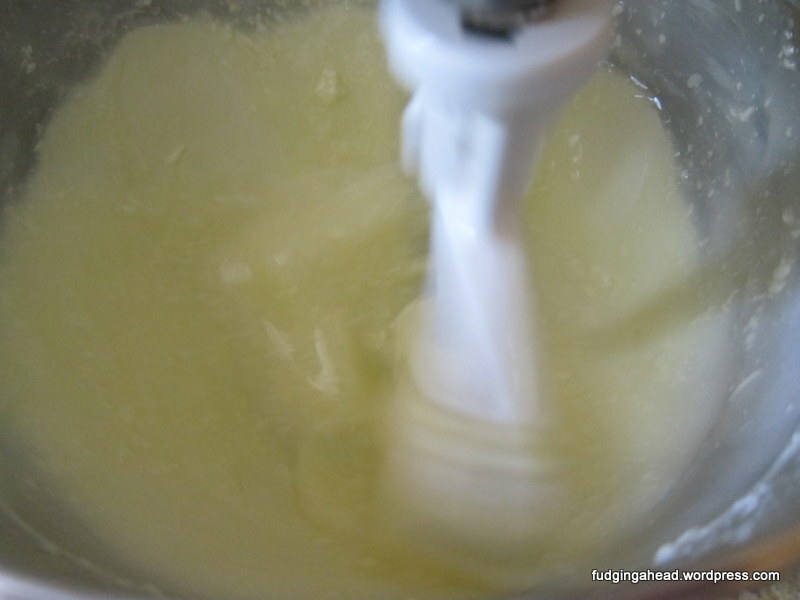 Whisk together the flour, baking soda, cream of tartar, and salt. 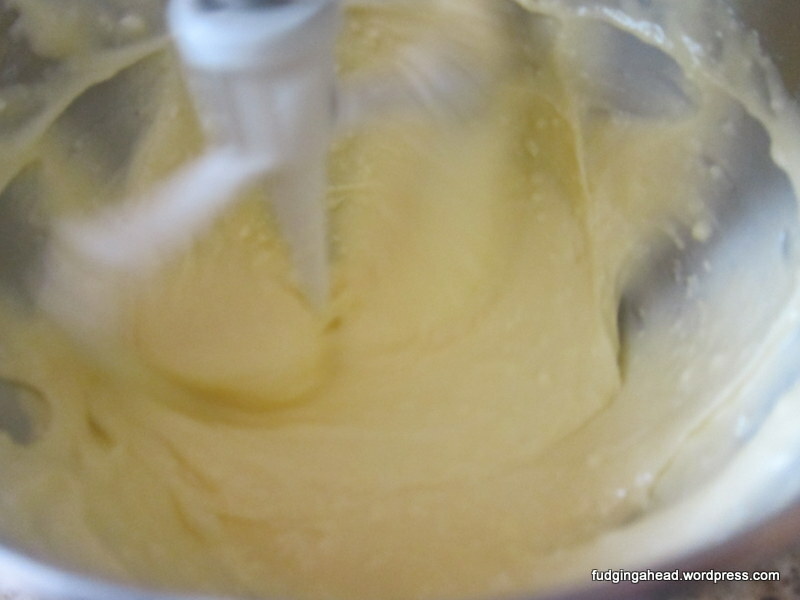 Beat the butter on medium speed for 2-3 minutes to make it a bit fluffy. Then, on the same speed (lower if necessary, higher if you can manage without making a mess), beat in the oil in a steady stream. The mixture will be liquidy. On low speed, or begin stirring by hand then switching to the mixer, stir in the superfine sugar. Beat for 2 minutes on medium speed, then do the same with the confectioner’s sugar for another 2 minutes. 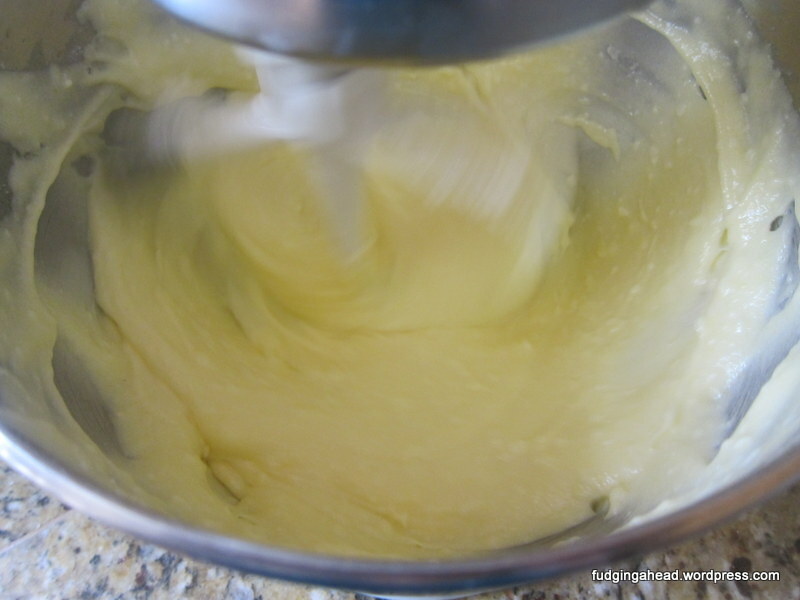 Beat in the egg yolks and vanilla for a minute until the mixture is well-combined. 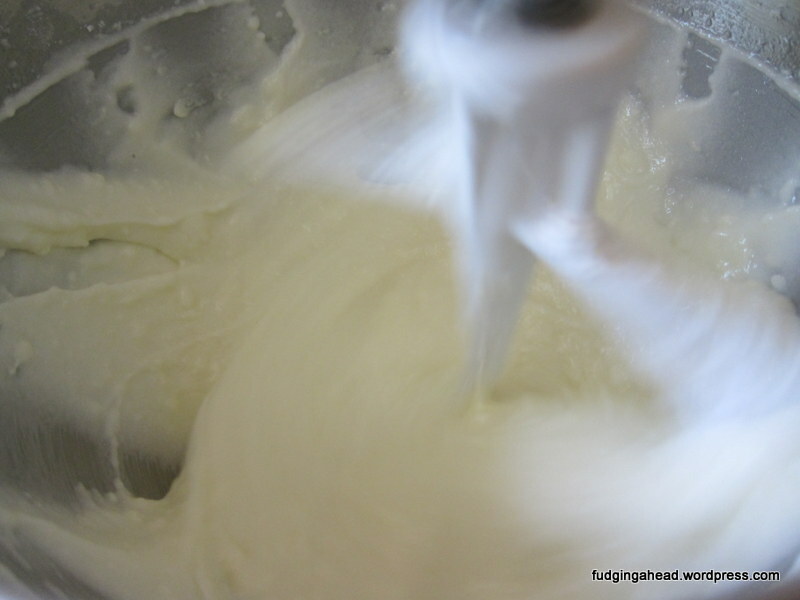 Again on low speed, or by hand, stir in half of the flour mixture. Add half again, then the remaining amount, scraping down the sides of the bowl and making sure the flour is just barely combined. The dough will be very soft and a bit crumbly. Press it into a ball and wrap in plastic wrap. Refrigerate for at least 5 hours or freeze for 1 hour until the dough is firm and not too sticky. You can make the dough up to 3 days prior to baking. Preheat the oven to 375 degrees F when ready to bake. 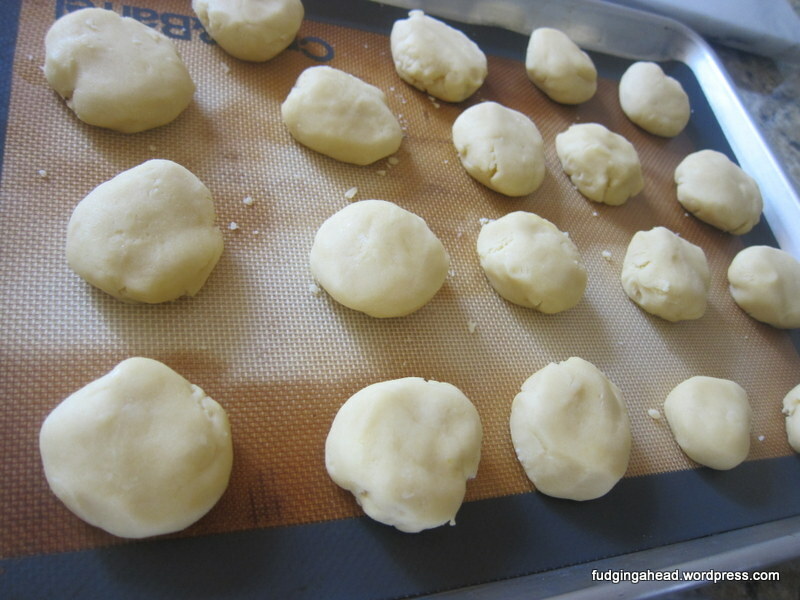 Prepare baking sheets with baking spray/parchment/liners. Take 2-Tablespoon-sized balls of dough and roll them into balls. Flatten them lightly, but not all the way because they will spread. You just want the top to be flat. Bake for about 15 minutes, until set and golden on the edges. Rotate the pans halfway through baking. 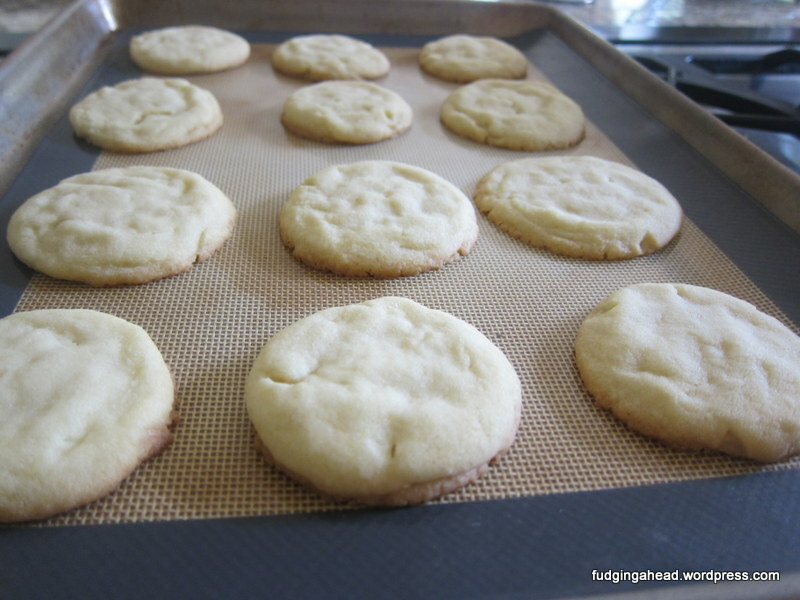 Let the cookies cool on the pans for a few minutes before transferring them to wire racks. While the cookies cool completely, make the frosting. Battle of the Cakes, you ask? Yes. 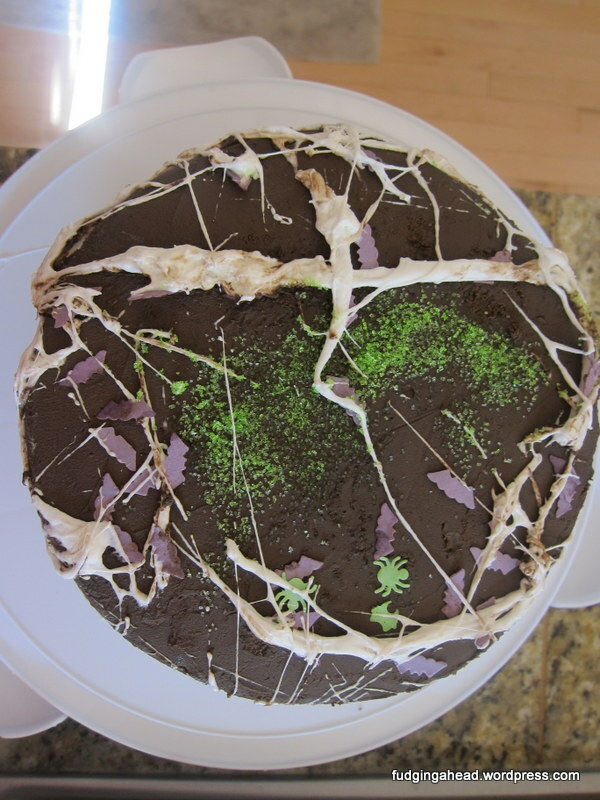 At the verrrrry end of 2015 and very start of 2016, I was on a cake-making fix. I made two similar cakes back to back. Normally I struggle with cakes, but I’ve been giving myself more practice and these two cakes came together pretty easily. 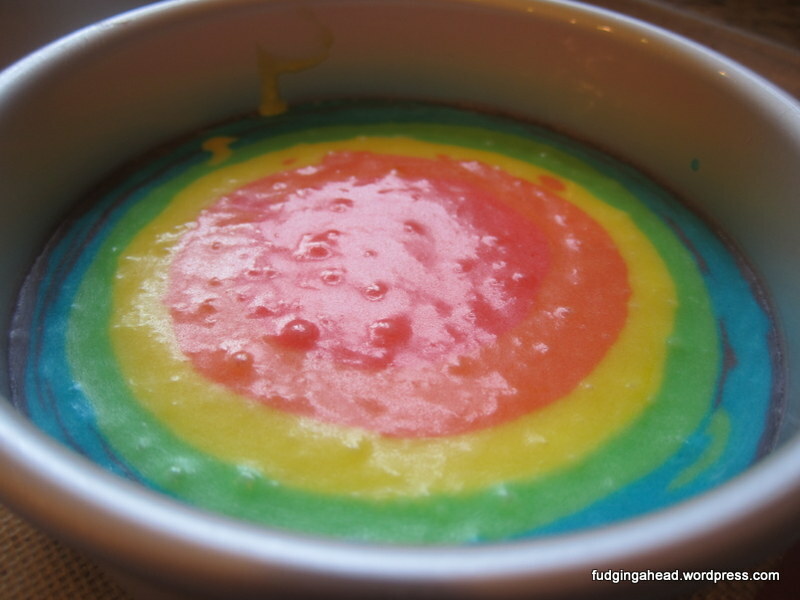 Even the frosting was…dare I say…fun?!?!? Since the cakes are so similar, this is almost like a throwdown for me to compare them. 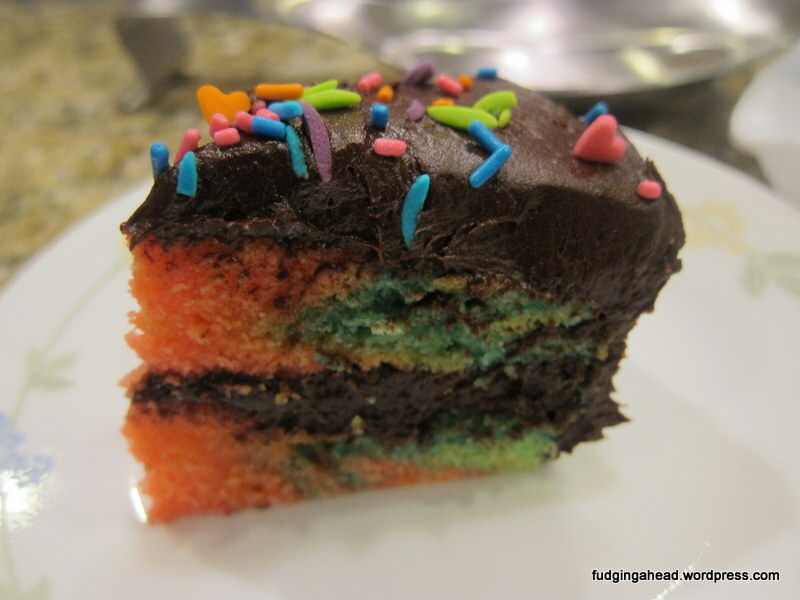 If I had to pick one cake in its entirety, it would be this one. 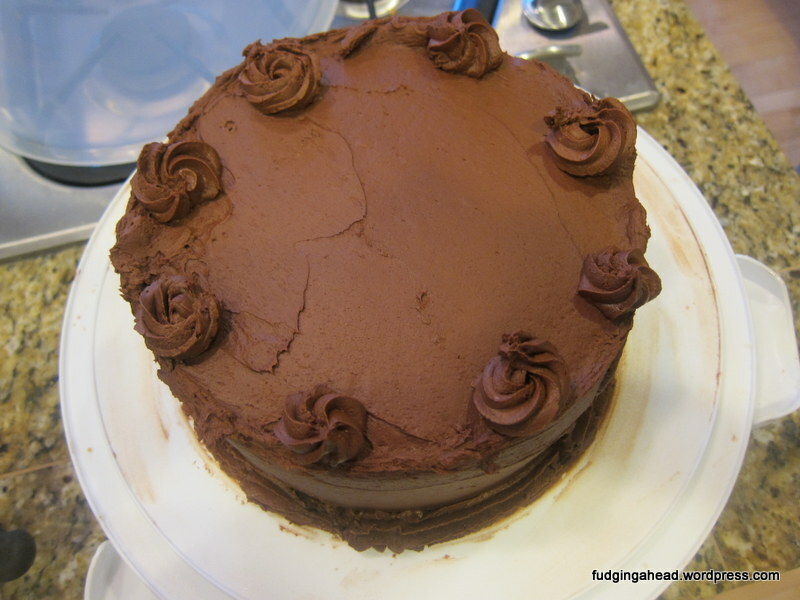 But, the frosting for the other cake was both easier to make and easier to frost the cake. 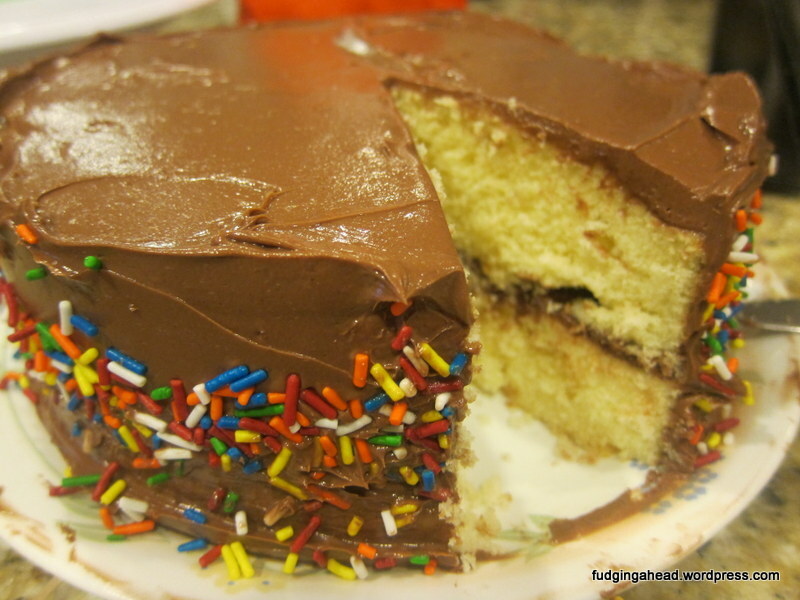 This one is richer, and the other one is a bit sweeter and lighter (texture and taste). This is much more buttery and creamy. 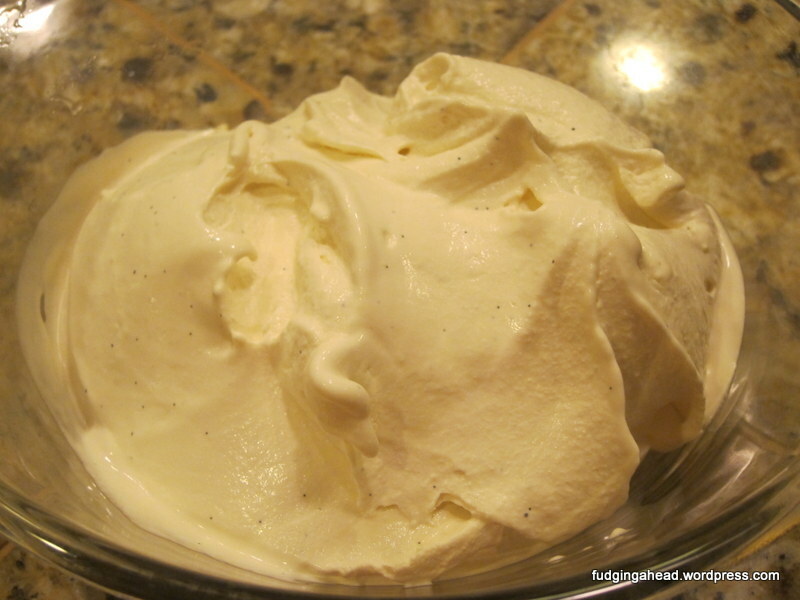 To be clear, you don’t need to have chocolate frosting in this ice cream, if you prefer your Bailey’s “straight”. You also don’t need the Bailey’s. 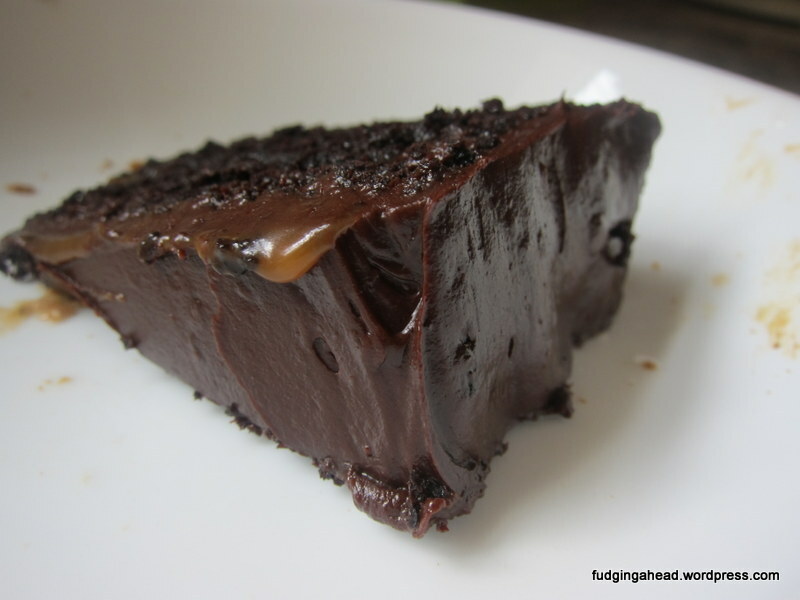 You could leave it out and have vanilla ice cream with chocolate frosting. Both work.